Home / backup and restore / blogging / news / online backup services / recovery services / sponsored / Why every business must have a backup and recovery service? Why every business must have a backup and recovery service? Have you ever worried about your business vanishing in a night? Than you must read this article. Data is an integral part of any business and keeping it safe and secure should be the priority of every owner. Every business whether big or small has some data to take care off and if the business is online than the risk of loosing the data is more. If you own a blog or website than there is constant risk of loosing it as hackers are very much active on the internet. Your blog or website data can also be lost if you do some mistake in admin panel or install some corrupt plugin. So, to take care of all these things every business must have a service which can take a complete backup of your data at constant intervals of time. Blogs or websites and even web applications must have a certain kind of backup service which should be able to backup the database and files residing on the server (including plugins, themes, etc) and make it available for restore whenever needed. The backup and restore process should be fast, simple, hassle-free and efficient which is the overall purpose of the service. Almost all of the paid hosting services provide some kind of backup and recovery service for blogs and websites. Some other companies like Nexsan provide complete backup and recovery solutions and also disk to disk backup. The company is a pioneer in backup, recovery and SAN Storage systems. When web applications fail than those services which rely on it also fail, to minimize the risk backup services should deliver backups and recovery solutions that are fast and reliable. Backup services should be tightly integrated into the online blogs and web applications so that the process is efficient and smooth. A complete backup and restore solution can give you a complete peace of mind and will keep your business running always without any problems. Nexsan's backup and restore services have built-in features to help protect and recover data. It has easy and deep integration with various leading backup software providers is tested and qualified to ensure smooth functioning and deployment. If you have a business which is online than you must have a dedicated backup and recovery service so that your hard work which went into establishing the business doesn't get vanished in a second due to loss of data. 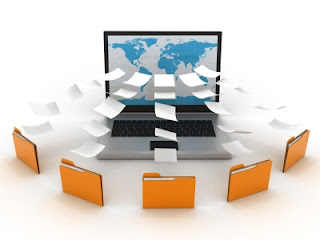 You can take manual backups of your online directories but that will be a cumbersome and time consuming task. Having an automated backup and recovery service which takes backup at constant intervals of time is always preferred. Automated service keeps your mind free and lets you work more hard on your goals rather than worrying about the data of your business. So if you still don't have a dedicated backup and restore service for your business than i will suggest you to get one now before its too late and have complete peace of mind. Do tell us about your experience of backup services.